No fair, that's PRINTING, as I do as well. Let's see some actual writing :-). My script unfortunately looks quite childish. Good point! 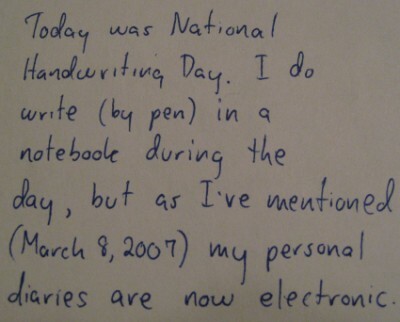 Of late I've been mixing cursive with straight printing in that notebook I mentioned.